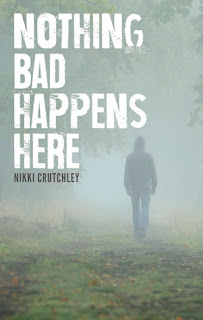 Nothing bad happens here – or does it? The main character is a journalist (one of many, much to her dismay) sent to a sleepy little (fictitious) town on the beautiful Coromandel Peninsula, where a decomposing body has been discovered in the bush by some trampers. The reader quickly becomes familiar with the journalist and the other personalities who gradually weave their way into the story, all with their various complicated and emotional backgrounds. The hard working, honest policeman of the town suddenly finds himself in the middle of the investigation and then upstaged by a more senior officer sent to head the inquiry who seems to delight in undermining the local cop. Dark secrets begin to unfold. Why and how did this young girl disappear and end up murdered? Another unexplained event comes to light. The characters gradually evolve and evoke sympathy, frustration and curiosity in the reader. It’s a mystery, with a twist at the end. The book is well written with good grammar and punctuation, chapters just long enough for a bedtime read, and would appeal to readers aged from 16 years upwards wanting an easy read. Younger readers may find the emotional and psychological aspect of the characters hard to comprehend. As events unfold and accelerate, it made me want to read on. It has easy to follow plot with good descriptions. 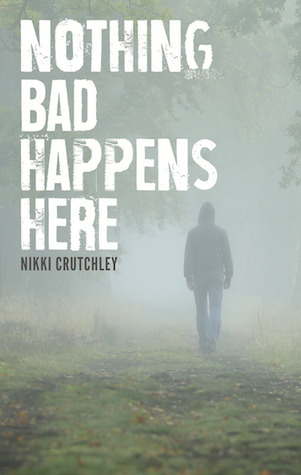 This is Nikki Crutchley's first work of fiction and I would certainly encourage her to write another. An enjoyable holiday read – unless you happen to be relaxing in a Health Retreat where anything can happen! This review was first published in FlaxFlower reviews, which focuses on in-depth reviews of New Zealand books of all kinds, and is reprinted here with kind permission.